When you are logged in using an administrator account, you will see Pending Jobs on the page with a list of new jobs to be approved or rejected. However, this field appears only when the site administrator enabled Pending Jobs to manually review and approve new jobs posted by employers. 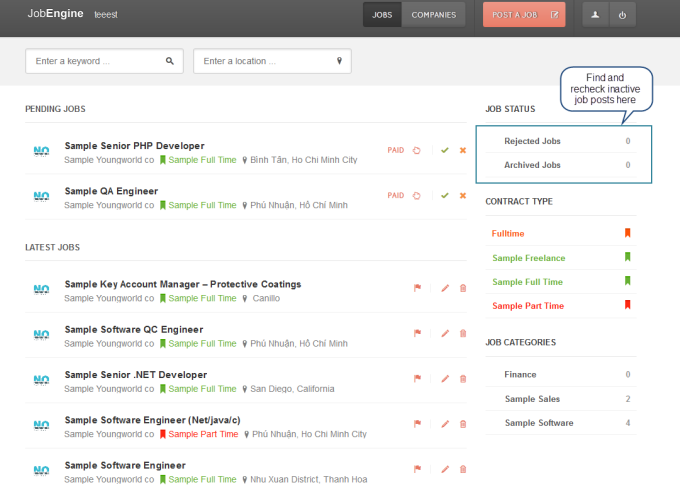 To approve a job, click the green check icon located at the right of a job post. Hit [ x] button to reject it. All unapproved jobs are moved to Rejected Jobs section of the Job Status panel . If you want to review a rejected job, click Rejected Jobs in Job Status panel, locate job, and hit Edit using the pen icon. If you wish to change any job detail, you can do so by editing the information on the designated box. You can also choose to publish, archive, or move the job back to pending; just hit the drop down button at the top right of Edit This Job page. 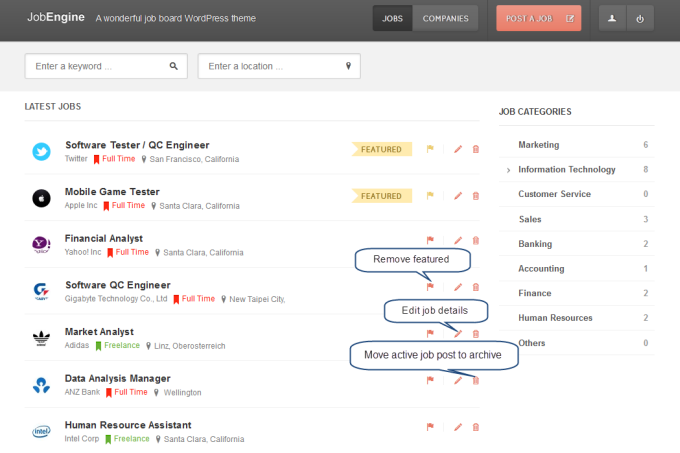 You can also archive the job post directly from the Rejected Jobs page; simply click the Archive icon. If a job was submitted as featured and you want it changed to a regular job post, just click Remove Featured. 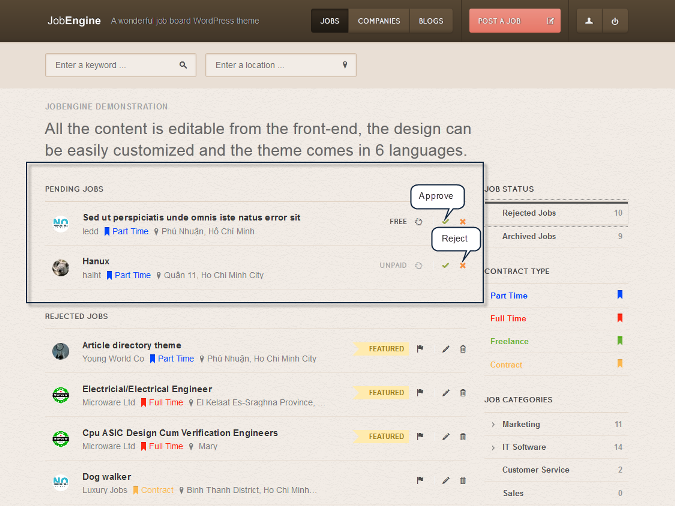 To approve or reject a pending job from back-end, click Engine Settings > Overview > Pending Jobs. Hit the green check icon to approve; otherwise, hit [x] button.